Often confused with Imperial's Beaded Bullseye but less often seen and seldom identified correctly at auction. 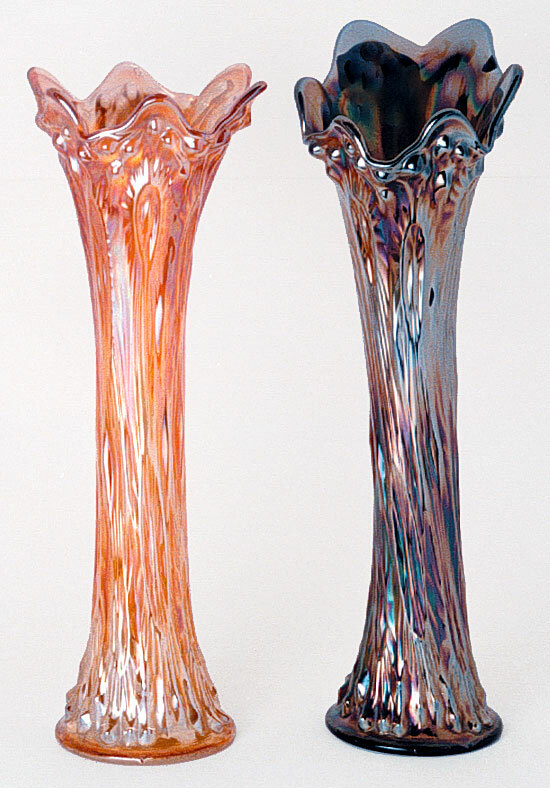 The vases are usually stretched out so much that the bullseyes are somewhat difficult to pick out. They are most easily seen on the top one-third of the pattern and have a center design. Beaded Bullseye has a smooth bullseye. Height is generally in the 12 to 14 inch range; the base size is always 3 1/2 inches.